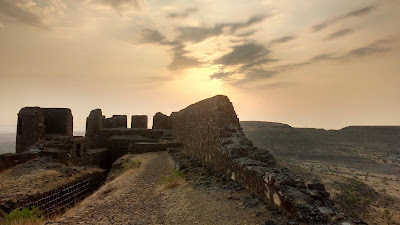 Malhargad is one of the youngest forts in India. 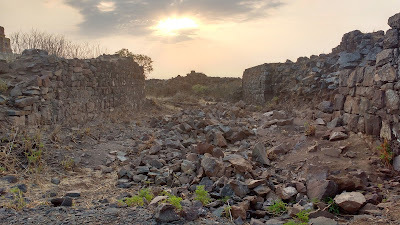 It was built by the Marathas in the latter half of the 18th century to guard the Dive Ghat route connecting Saswad to Pune. 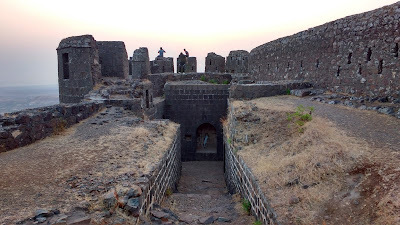 The fort can be accessed by a short climb of 20 minutes after a short detour from the Dive Ghat road, thus making it a quick getaway from Pune on any day. One has to take the Dive Ghat route from Pune on the way to Saswad. 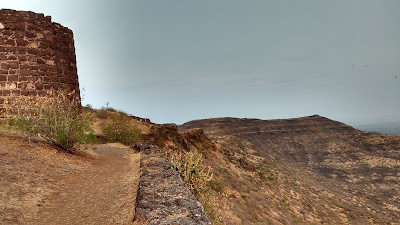 After the ghat climb, one should take the road to the left at the next to Shakuntala Misal leading towards Zendewadi. 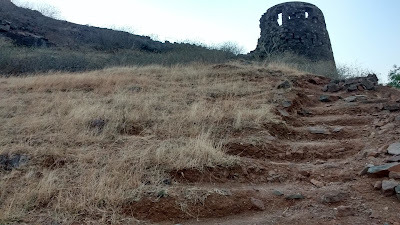 The road deteriorates after a while, but leads on the the base of Malhargad where one can park the vehicle. Two paths from this point can be used to climb to the fort - the straight rough path or the gentle switch-back route on the right. 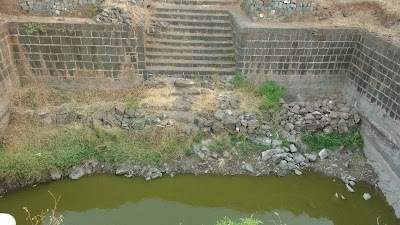 The main road of the Dive Ghat is serviced by regular local buses from Pune. The inner road - of about 4km - is not serviced by any local transport. 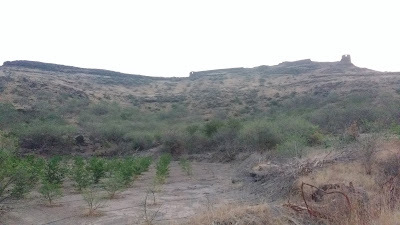 The small fort is built on the edge of the plateau rising to the south of Pune. The fort is triangular in shape. The southern tip of the triangle has the 'Chor Darwaza' and tower through which one can enter the fort. 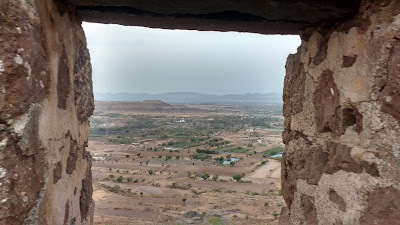 This tower has a commanding view of the town of Saswad and the forts of Purandar-Vajragad behind it. 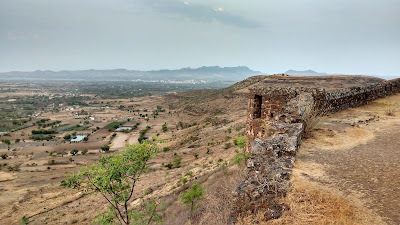 The main 'Mahadarwaza' of the fort lies at the approximate centre of the northern wall and overlooks the Pune-Solapur Highway. 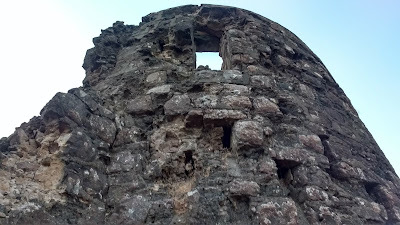 The Mahadarwaza leads to the square complex at the centre of the fort which is now in a dilapidated state, except for the temples of Lord Khandoba and Lord Shiva. Outside the square one can find an old stepped-tank and a disused well. 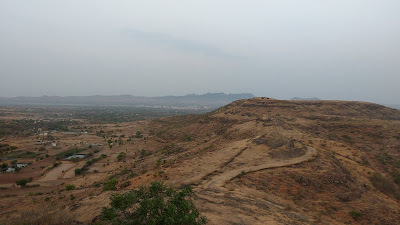 The western tip of the fort has a tower that looks over the eastern fringe of Pune. 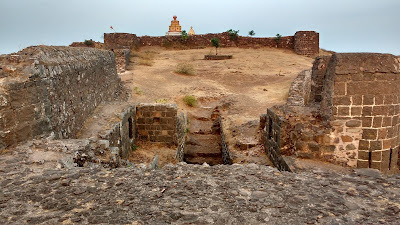 The eastern tip of the fort has another tower with a gateway below it. 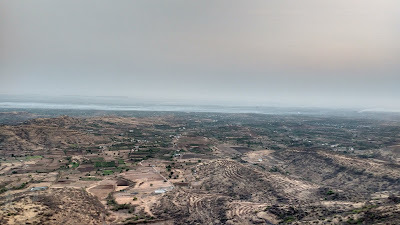 The tower overlooks the gradually descending edge of the plateau and the gate leads to a route which desends the plateau to the villages below. The sunrise from the eastern tower is a beautiful sight. 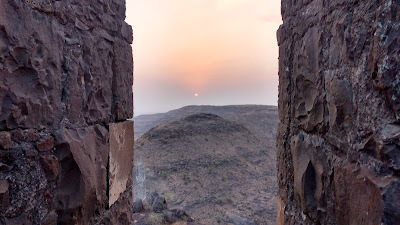 Malhargad is a great place to watch the sunrise near Pune. The views are breath-taking with stepped fields and unruly hills. Head here if you're in Pune. Its only about 30kms after all.